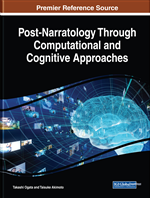 This chapter describes the concepts behind a commercial film production support system (CFPSS) in terms of related studies in the areas of advertising, image techniques and rhetoric, cognitive science, and information engineering. The chapter then analyzes the structure of commercial films to establish and describe an information system that is tested with a viewing experiment. The proposed system reflects the environment by implementing basic image techniques to create commercial films through an interaction between the users and the system. The experiment uses commercial films for beer with 55 participants. The results show that evaluations for image types related to the advertising story generate the most interest and high evaluations for the provider type of rhetoric stimulates willingness to buy. In terms of technique, mise-en-scène and editing attracts interest, and the advertising story associated with the product function and the supporting production and distribution stimulates willingness to buy. This chapter considers narrative from the business point of view. For novels, movies, theater shows, and so on, the narrative itself is the product and service, and the consumer pays a fee to use the service. The narrative must be good enough that consumers are willing to pay these fees; if consumers are satisfied, the writer can then create narratives with any content. The contents of the narratives vary, as does the structure of narrative expressions. The writer builds the narrative world and provides it to consumers. On the other hand, the narrative within an advertisement is not the product or service, but rather acts as a means to trigger consumers to pay for the products and services presented in the narrative. Advertisements are profitable when they successfully convince consumers to pay for the products and services presented through the narrative. The writer creates a narrative about the contents and features of products and services while considering consumer behavior. Since consumer behavior varies, narratives with various contents are created, though they all maintain the basic communication structure between businesses and consumers through the products and services. The creator always assumes a consumer's status (awareness of products, understanding, interest, willingness to buy, purchase results, etc.) and drafts a story according to that status. Providing this narrative to consumers builds the relationship between the consumer and products and services. This chapter takes the view that the basic structure of the advertising story is the communication structure between businesses and consumers through products and services, and attempts to analyze advertising image techniques and build an information system to generate commercial films. The film is short and embraces only a brief advertising story selected from among the various characteristics of the product and its consumption. Despite its brevity, the film comprises broken information elements that constitute the shot. The audience perceives these expressed elements to have the potential to invoke ideas. When the film is edited chronologically, the tempo created from the series of shots and the shot-to-shot relationship may give the audience different images. The audience may also perceive any image related to the event (and information elements) of a series of shots. The audio produced throughout a film with the components of sounds and events also invokes ideas in the mind of the audience. Low Involvement Products: The products that there is a lesser degree of enthusiasm and interest in product functions when a consumer purchases a product (coffee, beer, tea, etc.). Scene Added: A mise-en-scène technique that adds scenes (screens) not directly related to the consumption of products. In beer, for example, this includes expressions such as scenes on airplanes, scenes where announcers appear, and scenes that imitate beer drinking. Production Added: An advertising story technique that adds scenes to commercial films related to product production and distribution. In the production and distribution of beer, we often show barley material, manufacturing methods, producers, distribution means, etc. Acceptance Deleted: An advertising story technique that does not express (deletes) scenes showing acceptance of products in commercial films. Beer itself appears, but in many cases, we do not express cheers, drinking actions, etc. Product (Mise-en-Scène): A mise-en-scène technique that expresses the merit of products in the screens of commercial films. In beer, this is often expressed through the softness and shape of bubbles, the movement that bubbles make when poured into a glass, canned beer chilled with ice, etc. Sound Technique: The methodology related to how to direct and structure shots with sound for characters, the material appearance of shots, and the technique to direct (structure) shot backgrounds and shot-to-shot relationships with specific sound comments. Image Rhetoric: The combination of image techniques such as mise-en-scène (direction) of shots, editing shots, and so on. Buddy Added: A mise-en-scène technique that adds friends, family, rivals, etc. to a screen of commercial film scenes showing consumption of products. In beer, we often use work colleagues, fellow players, couples, etc. Irregularity: An editing technique that makes it difficult to understand the connection (flow and development) of video shots in commercial films. In beer, we often connect scenes that are not directly related to consumption of products, so many viewers cannot understand the flow of consumption situation -> product acceptance -> consumption effect. Mise-en-Scène Technique: The methodology used to direct and structure shots with components (elements) so as to make images of events. Copy Added: An advertising story technique that adds an advertising message (copy) to commercial films by sound or text. Advertising messages often represent advertising concepts, product characteristics, etc. High Involvement Products: The products that there is a greater degree of enthusiasm and interest in product functions when a consumer purchases a product. Mobile phones, PC, etc. Connection: An editing technique that configures the connection (flow and development) of video shots in commercial films as a comprehensible story. In beer, we often compose a connection as consumption situations -> product acceptance -> consumption effect flow and deployment. Tempo: An editing technique for shortening video shots in commercial films and switching video shots at a fixed time. In beer, video shots of about two seconds are connected, and in many cases, a certain rhythm is felt. Character Added: A mise-en-scène technique that adds characters such as celebrities, entertainers, movies, animation, etc. to the screen of commercial films in a scene showing consumption of products. In beer, we often use athletes, actors, comedians, etc. Effects Added: An advertising story technique that adds scenes related to the results of (effect on) consumers after accepting products in commercial films. The consumption effects of beer are often expressed through smiles, refreshed faces, voices of delight, etc. Advertising Story: The technique determining the event to focus on to visualize the advertising images. The story is structured by extracting events among the advertising history. Image Techniques: The techniques used to express images: advertising story, mise-en-scène technique, editing technique, and sound technique, among others. Situation Added: An advertising story technique that adds scenes to commercial films related to consumers’ situations prior to accepting products. In beer consumption, we often express thirst, sports, work, fatigue, trouble, etc. Acceptance Added: An advertising story technique that adds scenes in commercial films showing acceptance of products. In the acceptance of beer, this is often expressed through cheers, drinking actions, etc. Editing Technique: The editing method (structuring) for shots in chronological order to visualize images of events.